Brothers Dave and Herman Zerfas started their professional recording career as members of the Indiana-based band Jubal. 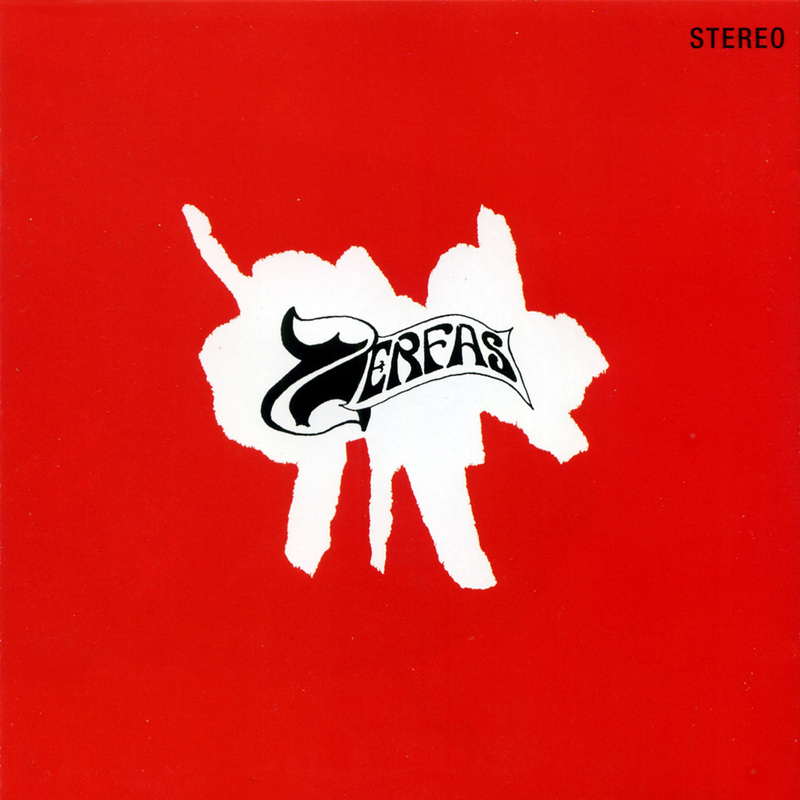 By 1973 the band had morphed into Zerfas, in the process recording an album that I'd easily categorize as a true lost classic. Released by Moe Whittemore, Jr.'s 700 West label, 1973's "Zerfas" stood as one of those rarities - an album that came close to living up to the collector hype surrounding it and probably one of a handful of albums that I'd consider paying the asking price in order to own an original copy. Produced by Whittemore, Jr. with four of the five members contributing material, the album's gained a Beatlesque reputation over the years. 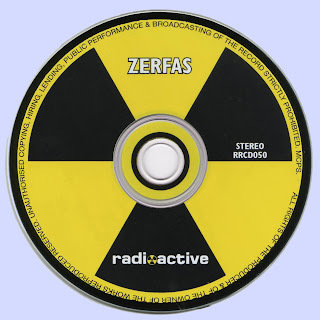 That's normally a mixed blessing and while not entirely accurate in this case, the Zefras brothers had clearly listened to their share of mid and late-era Fab Four. The album's also regularly slapped with a psych label which I find somewhat misleading. I've listened to the album dozens of times over the years and while 'The Piper' is psychedelic and there are occasional psych studio effects including the opener 'You Never Win' which started with an interesting bit of backward tape manipulation before kicking into the tuneful organ propelled garage rocker, the bulk of the set has always struck me as being surprisingly commercial. So what were the highlights? Six of the eight tracks were exceptionally good. With a dazzling fuzz guitar and inspired lead vocal from bassist Mark Tribby (who was supposedly reluctant to sing lead) 'The Sweetest Part' demonstrated the band were equally comfortable working in a country-rock arena. Apparently written during their Jabul days, 'I Don't Understand' started out with a slice of studio insanity before switching over to a pretty, if stark Badfinger/Emmitt Rhodes/McCartney-styled ballad. The song was also worth hearing for what may have been the album's best guitar solo. With a killer melody, glistening group harmonies and a touch of studio experimentation (I've always loved the way the cheesy synthesizer snuck in) the side one closer 'I Need It Higher' found the band taking a stab at a more commercial sound. You had to scratch your head and wonder how this one wasn't a major radio hit. Best of all was 'The Piper' which actually managed to mix pop, rock, psych, and progressive moves into a wonderful slice of music. That left one track up in the air (the experimental 'Fool's Parade' - complete with 'mushroom soup' belches) and two tracks that were marginal - 'Stoney Wellitz' which sported a bouncy melody, but was plagued by a cheesy synthesizer and an irritatingly whiny lead vocal. Complete with ocean waves sound effects, 'Hope' was a mid-tempo piece that simply didn't make much of an impression on me one way or the other. Those minor criticisms apart, as I said earlier, a lost treasure and one of the few LPs I'd even think about awarding 5 stars on my lame grading scale. Completely forgotten, but great, the American band music. This tight firmly the beatles (though more gloom) among collectors plate is surrounded by a cult of psychedelic rock....It was lovingly cut over six months in 1973 at the tiny 700 West Studio in New Palestine, Indiana, using a four-track 3M recorder, plenty of overdubs, a lot of homemade wine and a hell of a lot of creative ingenuity. There’s no need for me to give a detailed historical perspective of the band, the album or the studio here, because it’s all available at the excellent website dedicated to 700 West and I couldn’t improve on that compiler’s excellent job. Interestingly, the band members chose to add colour to their 1969-British-prog-rock style songs with the techniques of 1967 psychedelia, and the album stands as a fine psych/prog artefact despite being several years behind the timeline. The fun starts with “You Never Win”, which opens with a fade-in backwards version of the closing fade-out – a simple but brilliant idea. “I Don’t Understand” launches with an eerie half-speed recording of small children’s voices, whilst the meandering instrumental heart of “Hope” is washed by shoreline effects. Much use is made elsewhere of backwards voices, backwards instruments, fade-outs, fade-ins, wild stereo panning, ring modulators, tape loops and leftfield echo effects, and even a blast from an elkhorn. However, the underlying compositions don’t rely solely on these touches for interest; the eight songs, all originals, offer an engaging variety of styles from the “Born To Be Wild” knockoff of “You Never Win” through the cosmic boogie of “Stoney Wellitz” to the lush progressive soundscapes of “Hope”, culminating in “The Piper” which appropriately recalls Pink Floyd’s earliest stoner offerings. The playing and singing are excellent throughout, especially considering the tender ages of the musicians; Herman Zerfas’s keyboards in particular are exceptional.